In 1995, I started teaching (with one month to prepare) at Fairleigh Dickinson University (FDU) in Teaneck, NJ. The class was a master's level course in technical communications, and I had four extremely tolerant students who taught me how to teach them. Later, I taught similar master's level classes at both FDU and Polytechnic University in Brooklyn on technical writing, technical editing, and technical graphics (not how to do graphics per se but how to analyze graphics and, ultimately, specify and buy graphic services). At Fairleigh Dickinson, after a hiatus while I pursued my own masters in teaching English as a second language, I started teaching technical communication to undergraduates in the Gildart Haase School of Computer Sciences and Engineering. 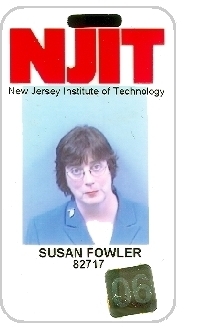 I also taught a few classes on usability testing and analysis and then taught similar classes at New Jersey Institute of Technology in Newark, NJ. The FDU Engineering school instituted rubrics for designing classes, first to ensure that students met accreditation standards but, as the teachers met and discussed the process, also to make sure that we reinforced each other's messages and lessons over the four-year span of the students' educations. I've added rubrics to each lesson plan for which there is one. I've also included information on creating rubrics here. Dr. Carol Johnson in the NJIT English department created a set of common modules and a recommended online portfolio template that all the teachers in the technical communication used so that we could participate in a cross-class assessment at the end of the semester. There were about seven sections per semester, and all of the students' work was similar enough to compare. Thus, we were able to see how our students were doing in comparison to others and we also ended up discussing and sharing our teaching methods. It was an excellent way for instructors to get together and communicate in very practical terms. More information on this program appears on Dr. Johnson's web page. Why this set of pages? When I started teaching, I found lots of information and lesson plans for primary and high school classes, but very little for college-level classes. This was especially apparent when I started teaching online classes and looked for online resources. WebQuests, for example, truly engage students in lessons using online resources, but there were only a handful of WebQuests for college-level students (versus thousands for pre-college students). So I started developing my own lesson plans. My rule was, "Teach the way you'd like to be taught," and the approach I took actually has a name--constructivism (although I didn't know that until I started the MAT program). For a paper that describes the approach, see Teaching without a Net: How Constructivism Leads to Higher-Order Learning For the Students and Sleepless Nights for the Teacher (a Word file). I'm publishing the plans in the hopes that other college teachers will find them to be good jumping-off points for their own lesson plans. Once I started the MAT, I found out how to write lesson plans and, eventually, how to grade the results. The lesson plans on this site (see the right column) follow FDU's style. (There are other styles, but the sections are basically the same even if the name or order is different. Adapt as necessary to your university or school.) For teaching and grading resources, see the bibliography. My standard technical-communication syllabus is available in Class Documents. Also attached is an Excel grading rubric for the course as a whole. Note that for each lesson plan on these pages, you'll find some of the comments students made about the class. I didn't try to pick only the best or the worst, just a representative sample. Some show higher-order learning, some don't. The comments come from final exams, one of which appears below in Class Documents, and from student assessments--see Classroom Assessment Techniques for more information about assessing your teaching as you go along. You'll notice that the spelling and grammar aren't perfect in many of the responses. Although the technical communication course is not a remedial course, I did what I could to teach the students better spelling and grammar. They were asked to do a worksheet each week for homework, and I passed out worksheets at the beginning of each class for the on-time students to do while the late ones wandered in. They all had to do the worksheets and I gave them pass/fail points for all the ones they did. Also, when I graded their papers, I marked them up with references to pages and sections in Diane Hacker's Pocket Style Manual. Any short style manual will do, but Hacker's has good examples and covers almost all of the mistakes I saw. See Grammar & Spelling Help for the books I used. Standard syllabus, technical communication for undergraduate engineers. Note that a syllabus for masters' level or professional writers is significantly different from this one. Grading rubric for the course. This gives the students an idea of how their work will be judged. I provide individual rubrics for each lesson as well. Standard final exam. This final is as much a test of how well I taught the subject as of how well the students learned. Since the exam tries to identify higher-order learning ("how did you apply this information?") and sophomores often haven't been asked to do higher-order learning, I found I needed to tell the students from Class 1 what the exam would be like and how they should prepare for it. Here is a sample final (in the first class, I pass around an exam with the student's name deleted, after getting the student's okay first): Filled-in final from NJIT. Here is the homework assignment I give them in the first class: Homework, Class 1. We discuss the results in Class 2 so they know what I think is the best answer and why (green because the student shows that he or she used it outside of class and also understood the point of freewriting). I prefer to let students fill in the exam electronically and email it to me. Typed exams are easier to read and no one has to show up for two hours at school with all their notes and books. I've had a few students try to cheat, oddly enough. One cheater had another student fill in the answers for classes she hadn't attended (I gave her zeroes for all of the missing classes, so her score was very low); and one copied and reformatted a friend's exam, then sent it in as his own. The poor friend was shocked that his kindness in sharing his ideas was so taken advantage of. Luckily, the cheater admitted he'd taken the exam. I would have had to fail them both if he hadn't. Angelo, Thomas A., K. Patricia Cross, Classroom Assessment Techniques, A Handbook for College Teachers, 2nd ed., San Francisco: Jossey-Bass Publishers, 1993. Use the exercises in this book to get immediate and regular feedback from your students. Trice, Ashton D., Handbook of Classroom Assessment, New York: Longman, 2000. Skinny book that contains everything you need to know about creating tests and analyzing the results. Clark, Ruth, Building Expertise, Cognitive Methods for Training and Performance Improvement, Washington, DC: International Society for Performance Improvement, 1998. This book is written for corporate trainers, so it's very good for helping you move adults from novice to expert levels. Mager, Robert F., Preparing Instructional Objectives, 3rd. ed., Atlanta, GA: CEP Press, 1997. How to define objectives, the trickiest and most important part of writing a lesson plan. Dale Jungk, Applied Writing for Technicians, McGraw-Hill, 2005, ISBN 0-07-828357-4. This book has grammar and style worksheets, which are useful for teaching the basics that many students don’t seem to have and would be a waste of time to teach in class. Diane Hacker, Pocket Style Manual, Bedford/St. Martin's, 2003, ISBN: 0312406843. Very important book for students to have. I used this when grading papers by pointing students to the relevant section of the book when they have a grammar, style, or sense error. J. N. Hook, Spelling 1500, Harcourt Brace Jovanovich, Inc., 1986, ISBN: 0-15-583212-3. This workbook, which contains 1500 words, shows how words are spelled and why they're spelled the way they are, making the worksheets far more interesting than you might imagine. Unfortunately, the book seems to be out of print. Mary Stoughton, Substance & Style, Instruction and Practice in Copyediting, EEI Books, Alexandria, VA, ISBN 0-935012-18-4. This is one of my standard texts in graduate technical writing and editing classes, but the first two exercises in the book are great for setting baselines for the undergraduates. They are often shocked at how badly they do. Clark, Kim. 10 Jan. 2008. "New Answers for E-Learning, Wikis and avatars are improving the educational experience." U.S. News and World Report. http://www.usnews.com/articles/education/e-learning/2008/01/10/new-answers-for-e-learning.html?PageNr=1 (accessed 25 Jan. 2008). Good quick overview of e-learning; what works and what doesn't. Dool, Richard. "Dialogue-Intensive Learning," eLearn Magazine, 11 June 2007, http://www.elearnmag.org/subpage.cfm?section=best_practices&article=40-1 (accessed 2 Jan. 2008). Perfect article about how to ensure that students (and teachers) get the most out of an online class.